 Committed to our seniors since 1973, Meals on Wheels Montgomery County provides home-delivered meals, safety checks, and transportation services to homebound seniors living in Montgomery County. These services improve the lives of our aging seniors by alleviating hunger and allowing them to remain safe in their own homes. The benefits extend to caregivers, family, and friends, who no longer face the high cost of nursing home facilities or the stress of caring for their loved one alone. Our goal is to build a community that nourishes, enriches, and strengthens the lives of the elderly in Montgomery County. We aim to foster the independence and dignity of homebound seniors in Montgomery County by providing them nutritious meals, transportation, and caring contacts. WHY IS MEALS ON WHEELS NEEDED IN MONTGOMERY COUNTY? There are many people in our community who for a variety of reasons are unable to cook or shop for themselves with ease. Their ability to live independently is enhanced by Meals on Wheels Services, such as home-delivered meals, safety checks, congregate dining, and senior rides. Learn more about the facts behind senior hunger. IS MEALS ON WHEELS A GOVERNMENT SERVICE? No. Meals on Wheels is an independent community based non-profit, with an active involvement from volunteers, and with oversight by volunteer community board members. The cost of meals is covered by both government and private grants, as well as corporate, business and private donations. View our financial statements for more info. WHO IS ELIGIBLE FOR MEALS ON WHEELS? Meals on Wheels services homebound seniors 60 and older who live in Montgomery County and are unable to shop, prepare or cook meals for themselves. Independent seniors can receive hot nutritious lunches through congregate dining at three locations in the Montgomery County: The Woodlands, Magnolia, and New Caney. DOES MEALS ON WHEELS PROVIDE TRANSPORTATION? Yes. Meals on Wheels has two senior transportation options depending on the needs of the client. Our Bus program is a door to door transportation program that can be used for various needs throughout the Montgomery County area. This service is provided for disabled clients and seniors over 60 years old. All of our buses are ADA compliant. We also provide a Senior RIDES program that uses taxis to transport disabled clients and seniors over the age of 65 to medical appointments within Montgomery County. HOW DO I SIGN UP FOR MEALS ON WHEELS? You, a family member, or a professional caregiver can call our client liaison desk 936-271-2183. You will need to leave the following information: date, full name of potential client, date of birth, zip code, name of person referring client, contact number for potential client, contact number for family member or person referring. All information is kept confidential. Learn More. HOW DO I FIND ADDITIONAL HELP FOR MY SENIOR LOVED ONE? For additional services, please dial 2-1-1 or visit www.211texas.org.